When following the following the go Clean & Lean 6/1 Meal Plan for detoxing, improved digestion, and weight loss - enjoy one of these recipes as a stand-alone lunch or as a side dish for dinner when appropriate! Perfect with your favorite protein, starch, or as the base of love bowls. 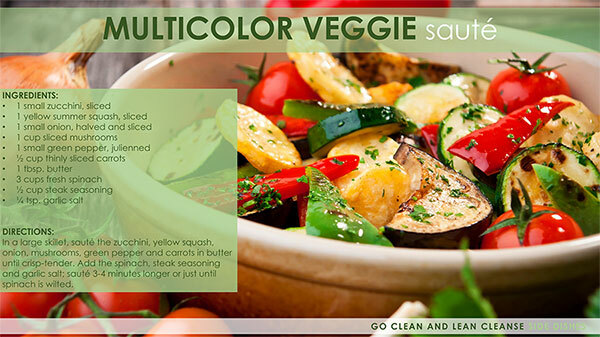 Slice vegetables thinly, place in a large bowl, and then toss with balsamic vinegar and Italian seasoning. Heat grill or grill pan. 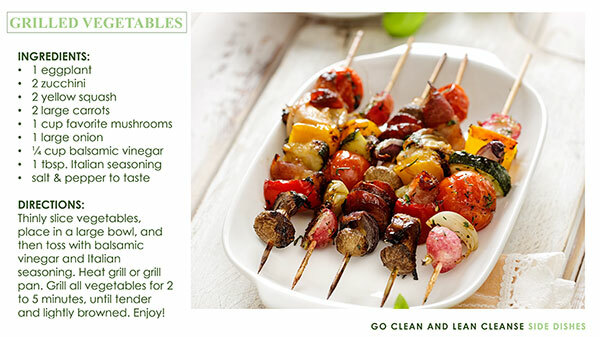 Grill all vegetables for 2 to 5 minutes, until tender and lightly browned. Enjoy! Mac & Cheese might be the ultimate comfort food. Again, you would enjoy this recipe without protein. Preheat oven to 400° Farenheit. and bring a large pot of water to boil for the pasta. In a separate saucepan, slowly bring the milk to a boil. 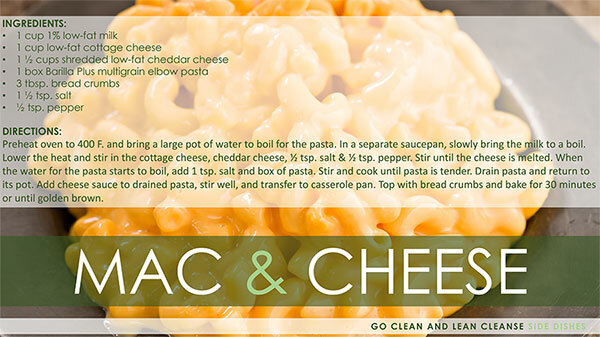 Lower the heat and stir in the cottage cheese, cheddar cheese, ½ tsp. salt & ½ tsp. pepper. Stir until the cheese is melted. When the water for the pasta starts to boil, add 1 tsp. salt and box of pasta. Stir and cook until pasta is tender. Drain pasta and return to its pot. Add cheese sauce to drained pasta, stir well, and transfer to casserole pan. Top with bread crumbs and bake for 30 minutes or until golden brown. When following the 6/1 Meal Plan you would eat this alone or add a vegetable soup or salad. You would not eat protein. DID YOU KNOW? Sweet potatoes are a good source of complex carbohydrates, beta-carotene, manganese, vitamin B6 and C, as well as dietary fiber. These nutrients are powerful antioxidants that help to reverse inflammation in the body. Preheat oven to 450° Farenheit. 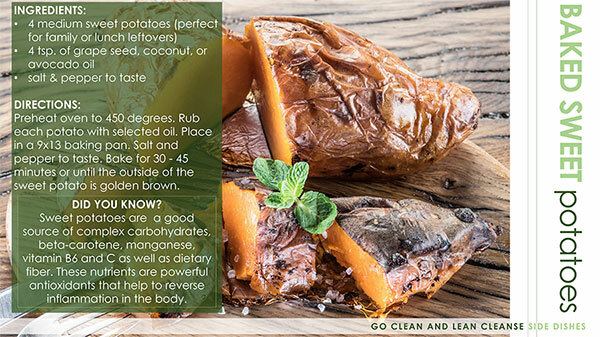 Rub each potatoes with selected oil. Place in a 9x13 baking pan. Salt and pepper to taste. Bake for 30-45 minutes or until the outside of the sweet potato is golden brown. In a large bowl whisk together the olive oil, cider vinegar, honey, Dijon mustard, salt, and pepper. Add the broccoli, carrots, celery root, beets, zucchini, onion, and parsley. Toss to coat the vegetables with the dressing. 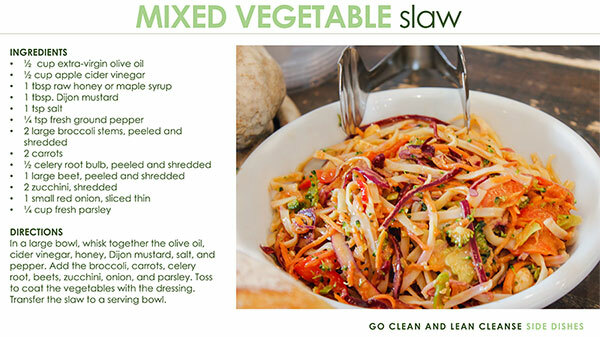 Transfer the slaw to a serving bowl. Preheat oven to 400 F. In a large bowl, mix together the cauliflower, olive oil, SOUL, salt, and pepper. Transfer the seasoned cauliflower to a rimmed baking sheet, placing it in a single layer. 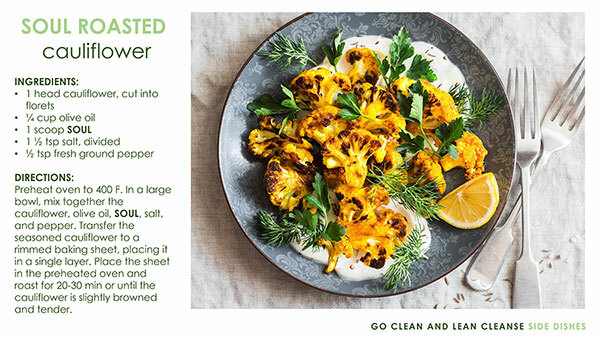 Place the sheet in the preheated oven and roast for 20-30 min or until the cauliflower is slightly browned and tender. 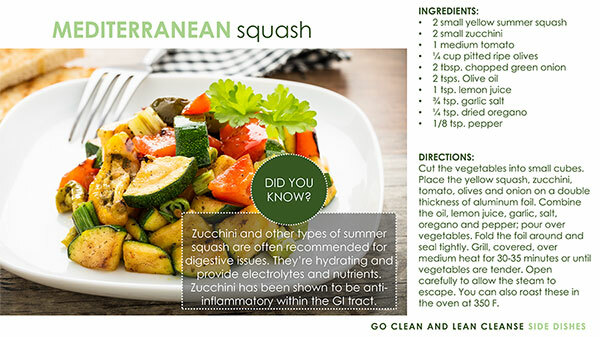 Zucchini and other types of summer squash are often recommended for digestive issues. They're hydrating and provide electrolytes and nutrients. 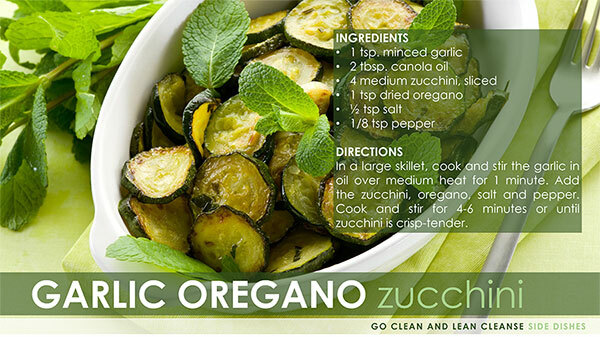 Zucchini has been shown to be anti-inflammatory within the GI tract. Cut the vegetables into small cubes. Place the yellow squash, zucchini, tomato, olives and onion on a double thickness of aluminum foil. Combine the oil, lemon juice, garlic, salt, oregano and pepper; pour over vegetables. Fold the foil around and seal tightly. Grill, covered, over medium heat for 30-35 minutes or until vegetables are tender. Open carefully to allow the steam to escape. You can also roast these in the oven at 350 F.
In a large bowl, combine the broccoli, cauliflower and onion, spritz with cooking spray. Sprinkle with the garlic salt, paprika and pepper; toss to coat. 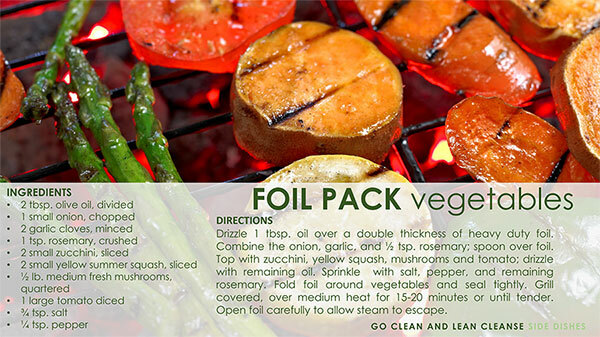 Place vegetables on a double thickness of heavy-duty foil. Fold around vegetables and seal tightly. Grill, covered, over medium heat for 10-15 minutes or until vegetables are tender. Cut an X in the core of each brussels sprout. Place in a steamer basket; place in a large saucepan over 1 in. of water. Bring to a boil; cover and steam for 8-11 minutes or until tender. Meanwhile, in a small saucepan, combine the yogurt, mayonnaise, mustard and celery seed. Cook and stir just until headed through. 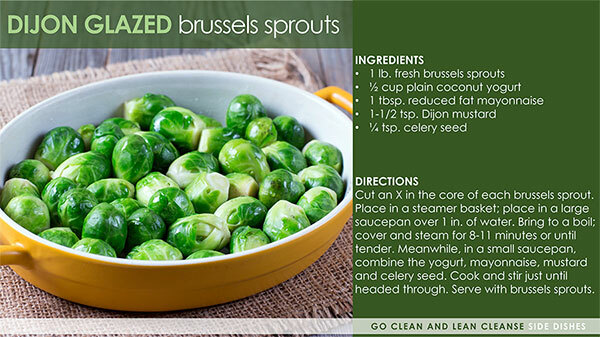 Serve with brussels sprouts. In a large nonstick skillet coated with cooking spray, combine the first seven ingredients. 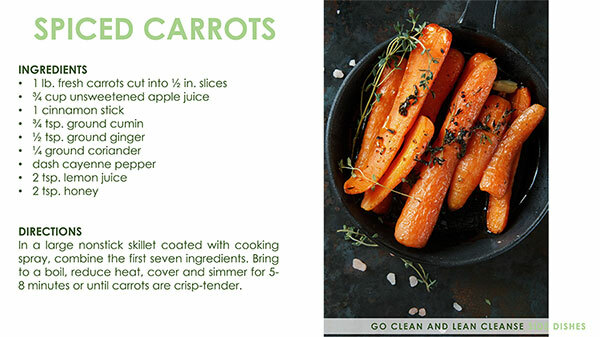 Bring to a boil, reduce heat, cover and simmer for 5-8 minutes or until carrots are crisp-tender. Broccoli is a cruciferous vegetable. It has been studied and shown to reduce inflammation. Recent studies also show nutritional benefits from the steaming of broccoli (versus other cooking methods). Included in these benefits are better retention of vitamin C and sulforaphane. 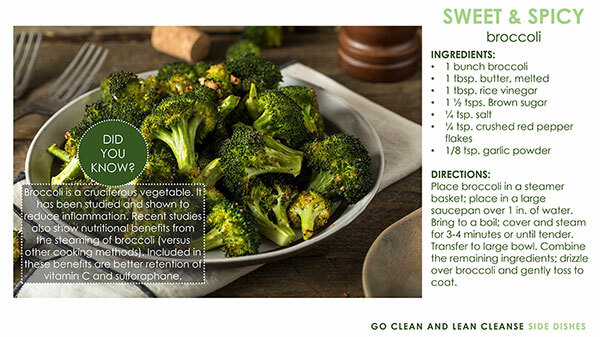 Place broccoli in a steamer basket; place in a large saucepan over 1 in. of water. Bring to a boil; cover and steam for 3-4 minutes or until tender. Transfer to large bowl. 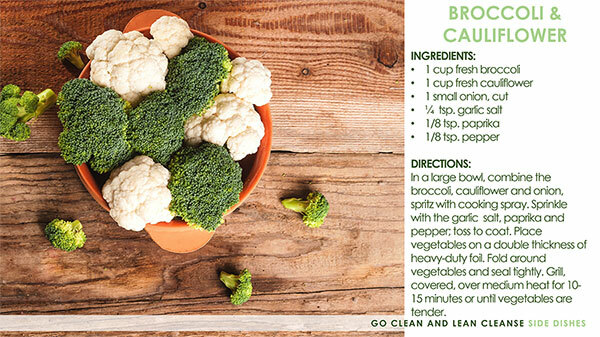 Combine the remaining ingredients; drizzle over broccoli and gently toss to coat. In a large skillet, sauté the zucchini, yellow squash, onion, mushrooms, green pepper and carrots in butter until crisp-tender. Add the spinach, steak seasoning and garlic salt; sauté 3-4 minutes longer or just until spinach is wilted. Drizzle 1 tbsp. oil over a double thickness of heavy duty foil. Combine the onion, garlic, and ½ tsp. rosemary; spoon over foil. Top with zucchini, yellow squash, mushrooms and tomato; drizzle with remaining oil. Sprinkle with salt, pepper, and remaining rosemary. Fold foil around vegetables and seal tightly. Grill covered, over medium heat for 15-20 minutes or until tender. Open foil carefully to allow steam to escape.